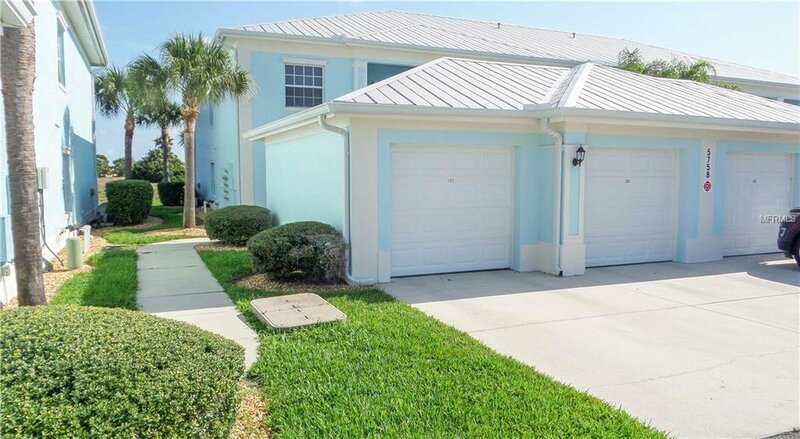 Desirable first floor, end unit furnished 2 bedroom, 2 bath condo with den/office and a garage in the gated community of The Colony at Sabal Trace. This cozy condo, offers a great kitchen with 42" inch raised white cabinets, a breakfast bar & closet pantry with plenty of space for your groceries! The open living room and dinette area offer a great combination for comfort and entertaining. The master bedroom has a walk-in closet and a single leading to the master bath. The second bedroom and bath are in a split floor plan great for guest privacy. The condo living room opens on to the tiled screened lanai, perfect for enjoying the Florida weather. The Sabal Trace Gated Community has a club house, heated pool, fitness center, library/computer room, and is only a short distance to great Gulf Beaches, shopping, restaurants and so much more that South West Florida has to offer! Resort living with out resort prices! You don't want to miss out so make your appointment to see it today! Listing courtesy of RE/MAX ANCHOR REALTY. Selling Office: RE/MAX PALM REALTY.